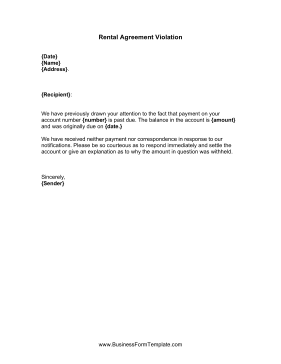 This free, printable template is a politely-worded letter to a recipient that owes the sender money and has withheld some monetary amount. The letter raises awareness of the past due account and request retribution and settlement. We have received neither payment nor correspondence in response to our notifications. Please be so courteous as to respond immediately and settle the account or give an explanation as to why the amount in question was withheld.